July 28, 2018 is Neighborhood Celebration Day at the Franklin Street Bazaar. 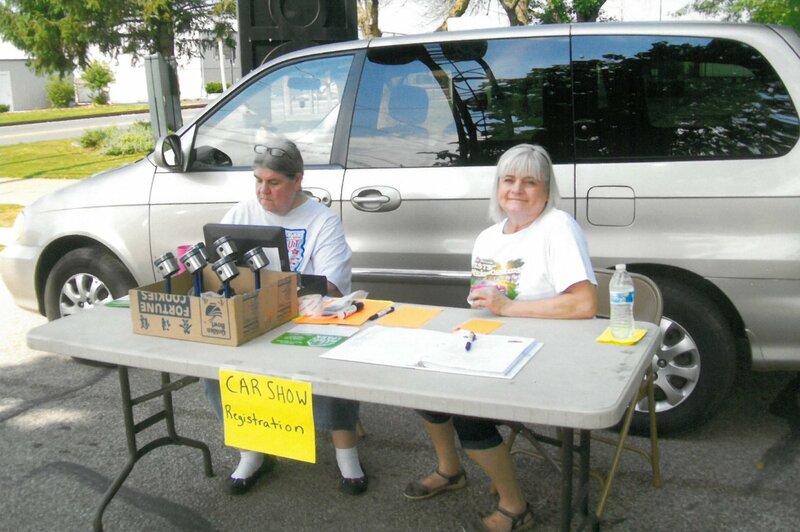 Neighborhood associations are invited to set up a booth and have an activity or game to share during the event. 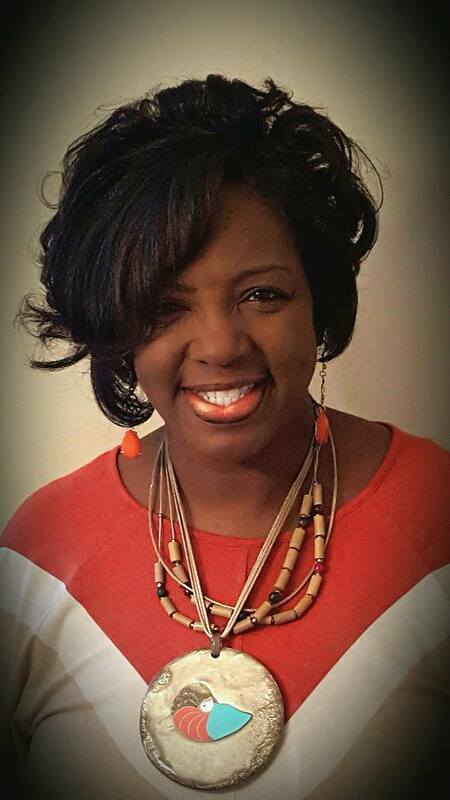 This special day has been set aside to create awareness of what neighborhoods do. At your booth or table, you can do pretty much whatever activity you’d like, just no sales. Prizes are always a hit. Western Terrace is doing temporary tattoos for the kiddos. Another booth is doing chalk and coloring pages. You can pass out newsletters and show pictures of what your association is doing, while visiting with those who come by the booths. You should bring your own helpers, tables, chairs and activities. If you have a canopy that would be great. Otherwise neighborhoods can be together under available tents. If you’re having a hard time coming up with ideas, we’ll connect you with others who’ve been doing such events for a while. Set up is to be completed by 8:45. The event is 9:00am – 1:00pm. 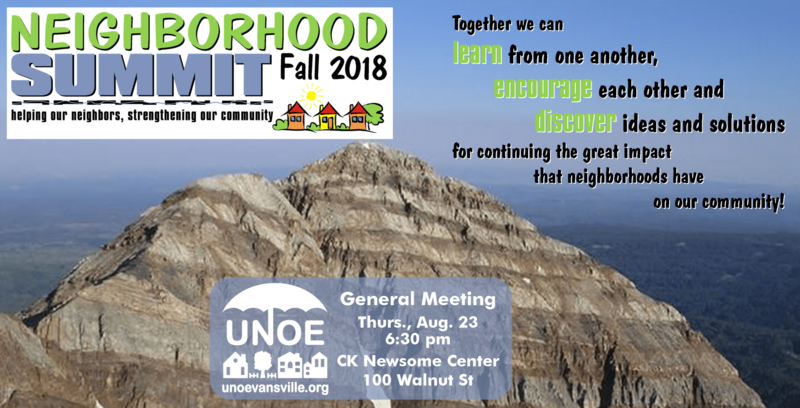 For neighborhoods that let us know by Wed., July 25th of your intent to be present, an 11x17in sign with your Neighborhood Association’s basic information from your webpage on the UNOE website will be designed/printed for you and displayed at the booths. So far, the West Sector is represented by Diamond-Stringtown, Helfrich, Poplar Grove, Western Terrace and Westside Improvement Association. 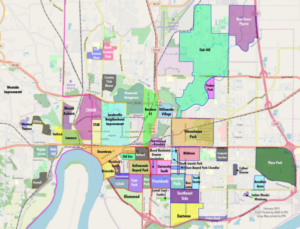 The South Sector neighborhoods currently known are Culver, Greater Lincolnshire and Tepe Park. The East Sector will have representation from Oak Hill. 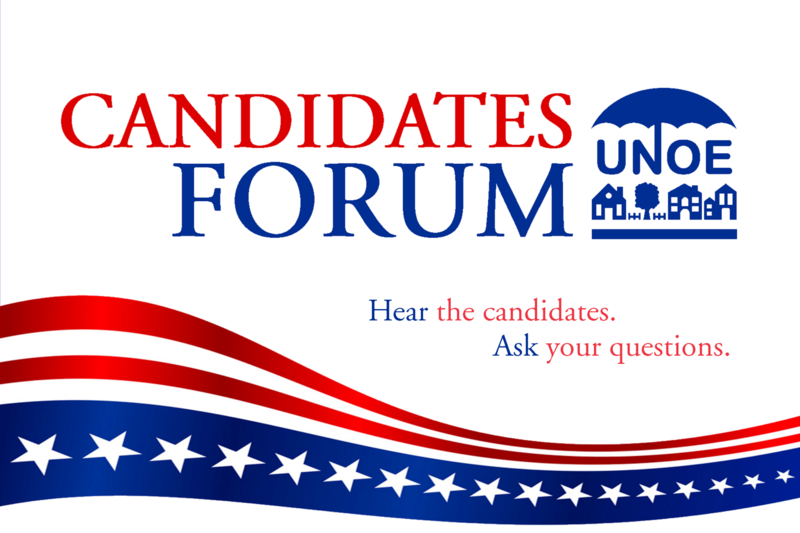 Please contact the UNOE office if your neighborhood would like to participate or have any questions. The UNOE office has moved! We’d love for you to come see our new office! 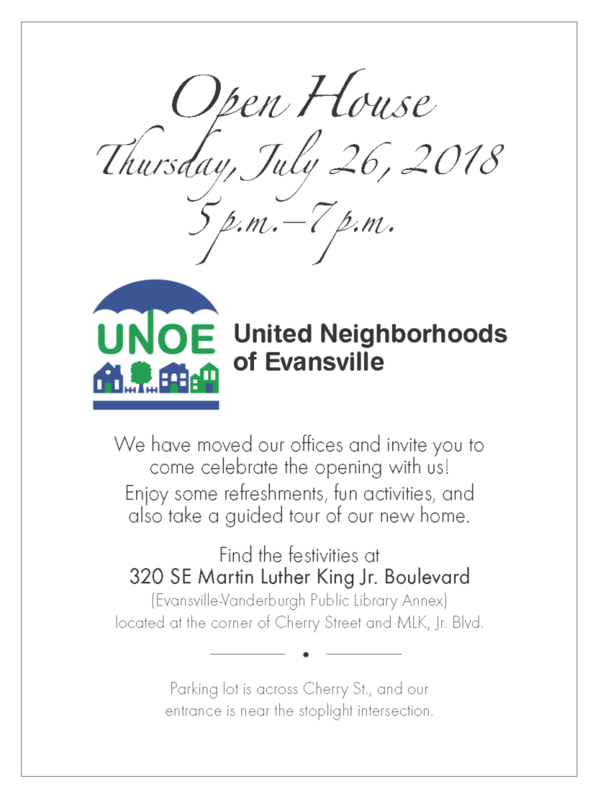 Join us for our Open House on Thurs., July 26, 2018, between 5:00 – 7:00pm at 320 SE Martin Luther King Jr Blvd, in the EVPL Annex at the corner of Cherry St & ML King Jr Blvd. Please note the parking & entry instructions on the first page of the newsletter. (This will take the place of the July General Meeting.) — We’re grateful to Two Men & a Truck – Evansville for the fantastic help with moving day! Neighborhood Celebration Day at the Franklin Street Bazaar – Showcase your neighborhood alongside UNOE at this event. 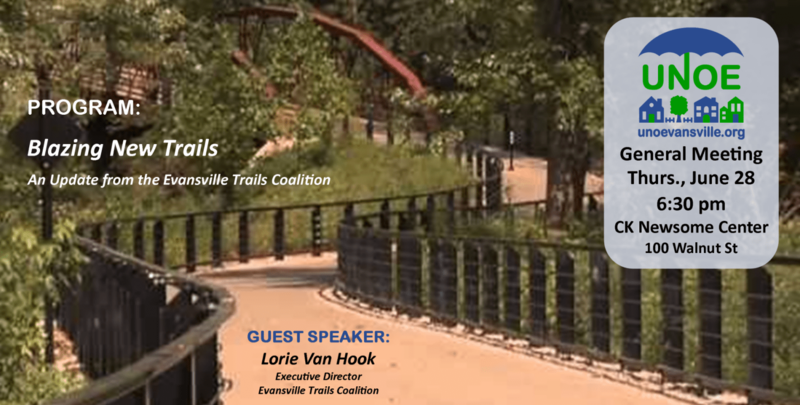 Contact our office if you plan to attend. We’ll see that space is reserved for your tent near ours or your members are welcome to join us under our tent. Let’s share with bazaar visitors what great things Neighborhood Associations are doing in and for this community! National Night Out is coming soon! 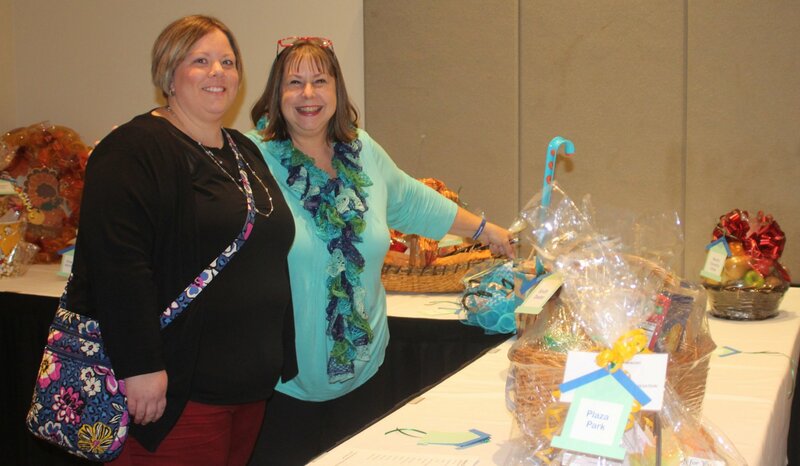 Early bird registration for the 2018 Regional Neighborhood Network Conference on Oct. 4-6, 2018, in Dayton, OH, begins the first week of July. 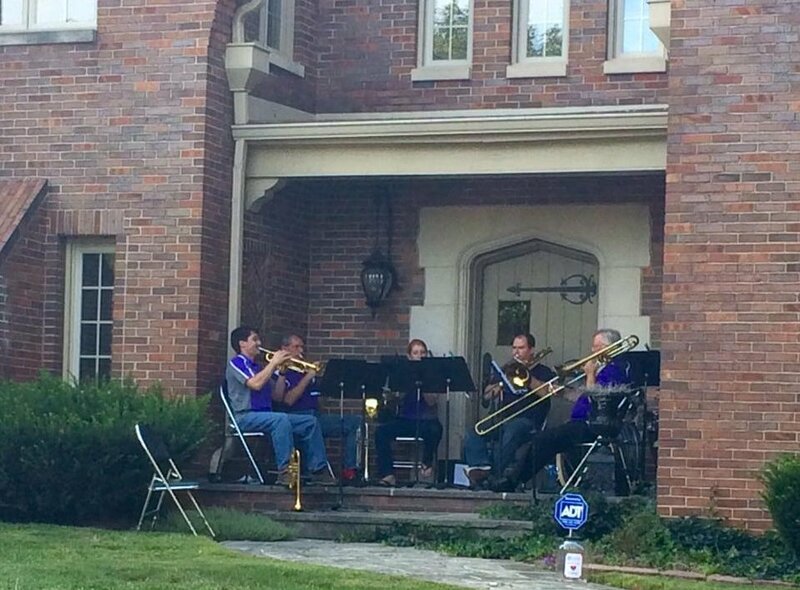 Neighborhood Photos – If you have some photos from your neighborhood to share with us, please email them to office@unoevansville.org or contact the office to arrange other means. We’re looking for scenic photos to use online (such as the featured image with this post) as well as pictures of changes/improvements in your neighborhood and of your members in action. 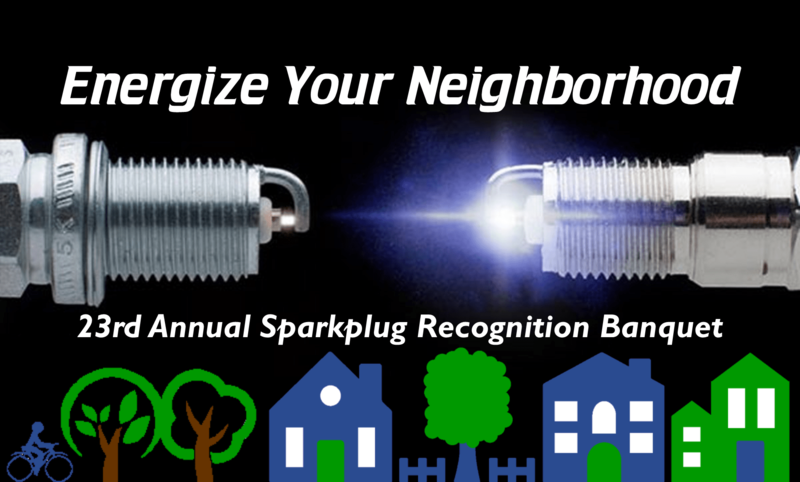 Up to 5 of your photos can be part of the dinnertime slideshow at this fall’s Sparkplug Banquet too! 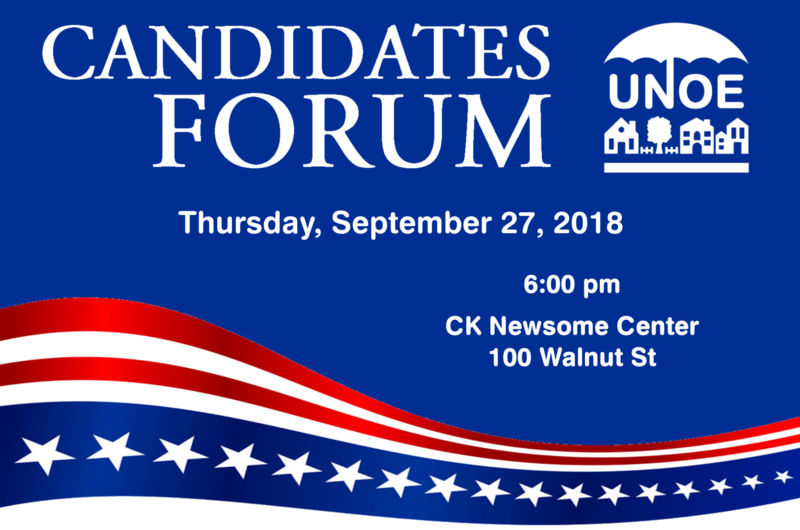 There will be no regular UNOE General Membership Meeting at the CK Newsome Center this month. Instead, we invite you to our Open House at our new office. See details above and on the front page of the newsletter.